Note to self: Don’t mess with an African buffalo or its friends. 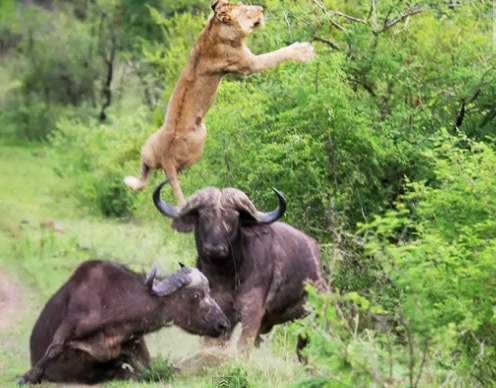 Check out this video of a male buffalo in South Africa that comes to the defense of a downed herd member and hooks a lion with a horn and flings him through the air like a rag doll. Then one more for good measure. They said no animal was harmed, but that is hard to believe.